There is always competition between smartphone companies regarding the battel of best smartphones. Not this battle continues as OnePlus has launched its another flagship device that is OnePlus 6. OnePlus was released on May 16 in London and May 17 in Mumbai, India. OnePlus 6 comes in 3 color variants - Midnight Black, Mirror Black and Silk White. There is also Marvel Avengeres Limited Edition Variant. OnePlus comes with two variant. First one is 6 GB RAM + 64 GB Storage. The another one is 8 GB RAM + 128 GB Storage. The Marvel Avengers Edition comes with 8 GB RAM + 256 GB inbuilt storage. OnePlus said the they gave new desighn to OnePlus 6. But in first look, it was look like OnePlus 5T. Although there is no major changes according to my point of view, except the dual rear camera are now placed at the center insted of the top left corner. OnePlus 6 has that 3.5 mm jack. It is not removed by them. The company said that the fans wanted this so that we have not removed it. OnePlus has finally moved Alert-Slider to the right. The volume button are on left side as well. The 6.28-inch Optic AMOLED display with sRGB support DCI-P3 color space.is there. There is 2.5D Corning Gorila Glass 5 protection so it may survive couple of drops. When it comes to performace, there are no lags or any kind of slow down while opening apps or moving between apps. It has powerfull Qualcomm Snapdragon 845 Processor with Andreno 630 GPU. It runs on Android 8.1 Oreo. it is delight to use OnePlus 6 because of Oxygen OS. Let's talk about the camera of its phone. OnePlus 6 has the dual rear camera of 16 MP + 20 MP. The primary 16 MP camera has f/1.7 aperture and the secondary 20 MP camera has also the same aperture. It has 16 MP front camera f/2.0 aperture. OnePlus 6 has 3300 mAh battery backup for more that 12 hours average usage on a single charge. The 6 GB RAM + 64 GB Storage model will cost you Rs 34,999. The 8 GB RAM + 128 GB Storage model will cost you Rs 39,999. After the success of OnePlus 5 and OnePlus 5T, everyone wants better than these two previous models. So if you are OnePlus lover then this phone is for you. 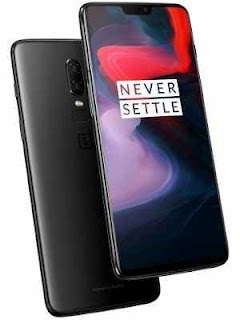 It is a good choice to buy a smartphone under Rs 40,000.
oneplus 6 has very good and smart camera with so much impressive filters, the camera works superb in low and dim light also. as my job is in night shift so i never felt like that i am taking selfie in night. the result is so astonishing .